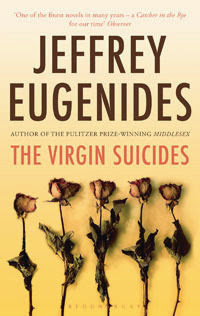 I received this book for free the publisher in exchange for an honest review. In an age unhealthily obsessed with substance, this is a book on the importance of pure style. From classic poetry to pop lyrics and from the King James Bible to advertising slogans, Mark Forsyth explains the secrets that make a phrase - such as ‘Tiger, tiger, burning bright’ or ‘To be or not to be’ - memorable. In his inimitably entertaining and witty style he takes apart famous lines and shows how you too can write like Shakespeare or Oscar Wilde. Whether you’re aiming for literary immortality or just an unforgettable one-liner, The Elements of Eloquence proves that you don't need to have anything to say - you simply need to say it well. 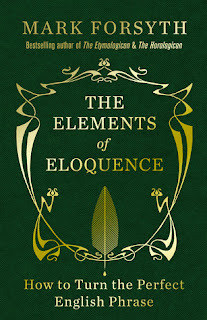 The Elements of Eloquence is a cleverly crafted book about the English language, that both amuses and enlightens. Forsyth's writing is witty and humorous, and I loved that he often implemented the language techniques he was describing and discussing. In addition to these aspects, creating such fluidity between the chapters makes this a really interesting read that many readers and writers could appreciate and learn from. It has been a really long time since I have spotlighted a giveaway here on the blog. I think it's about time to do it again, and I have something really exciting to share with you fellow Australians! I just recently saw the Vampire Academy movie, the recent adaptation of one of my FAVOURITE book series! I did a review here on the blog for the last book in the series, Last Sacrifice, which you can check out if you'd like! Spoiler alert: it's my favourite book of the entire series! (Also keep in mind that the review will spoil some of the earlier books, so be cautioned). 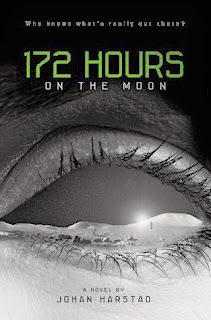 Keep your eyes peeled for a review of the movie, too! These books are just fantastic, and I'll be honest - I didn't love the movie as much as I adore the books - the bar is raised really high. But even still, I thought it was really entertaining and funny! I think everyone that adores the books should check it out. I hope that the sequels end up being filmed, as I have no doubt they would get better and better! So getting down to business, I wanted to share with you this giveaway that Bookworld is hosting, as I want more people to experience the wonderful world created by Richelle Mead. Bookworld is an Australian online bookseller (p.s. they have free shipping on everything) and they are giving away an awesome prize pack. It includes a signed Vampire Academy book package by Richelle Mead, AND tickets for you and 9 friends to go and see the movie! If you are a fan of either the book or film, or have just been interested in giving them a try, then you should totally enter (even if you don't win, I recommend checking them out). Just keep in mind that the competition closes 11:59pm Wednesday 19th March and is open to Australian residents only! This post was sponsored by Bookworld. All thoughts and opinions are my own. February was a fabulous month! I started re-reading the Harry Potter series, so it's obvious a good portion of my reads were fabulous.